Last date to register 15th April, 2019. 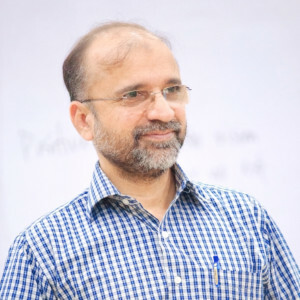 This is a Self-Paced online course that follows a structured approach to deliver its content. It provides an opportunity to learn from the comfort of your home, at your own pace, according to your own schedule, from anywhere in the world. Time required to complete this course is 23.5 hours but you will have 2.5 months to complete the course and view it as many times as required. 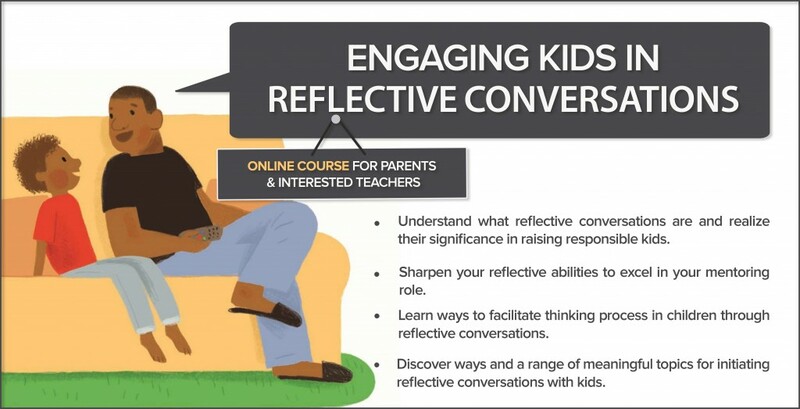 – Understand what reflective conversations are and realize their significance in raising responsible kids. – Sharpen your reflective abilities to excel in your mentoring role. – Learn ways to facilitate thinking process in children through reflective conversations. – Discover a range of meaningful topics for initiating reflective conversations with kids. 3. Send us the receipt at erdc.onlineworkshops@gmail.com. Registration is complete on payment verification and we will share course material and online access details with you over email. If you are from KSA, UAE, India & adjoining region, you may contact Mr. Nayyer Adbul Rab for info on more payment options. If you are from Australia / New Zealand, you may contact Mr. Rizwan Muhammad.